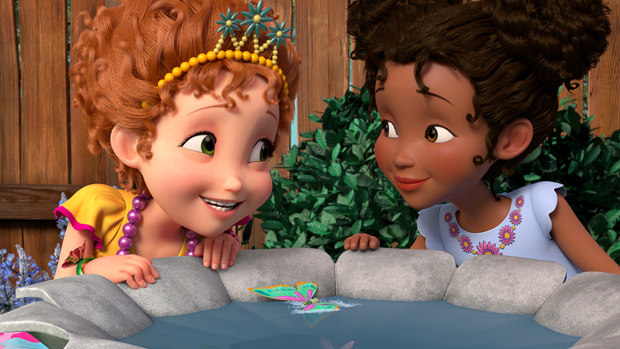 Animation veteran Jamie Mitchell is no stranger to fun young heroines who know how to make the best of every situation. 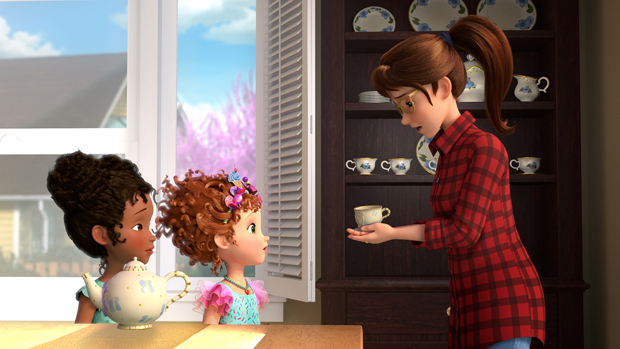 After all, he exec produced Disney’s popular Sofia the First series for the past six years, and worked on shows as diverse as The Little Mermaid, Hey Arnold, Special Agent Oso and Elena of Avalor. 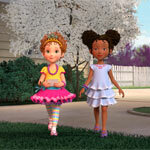 This month, Mitchell’s latest project Fancy Nancy debuts on Disney Junior. 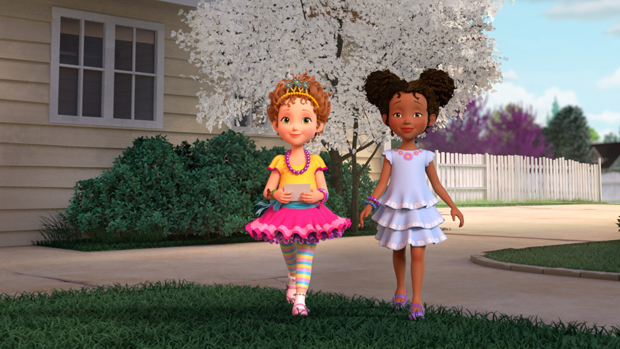 It’s a CG-animated preschool show based on the popular book series by author Jane O’Connor and illustrator Robin Preiss Glasser about a dynamic six-year-old girl who has a knack for making the most of every day. The show’s voice cast is quite impressive as well. 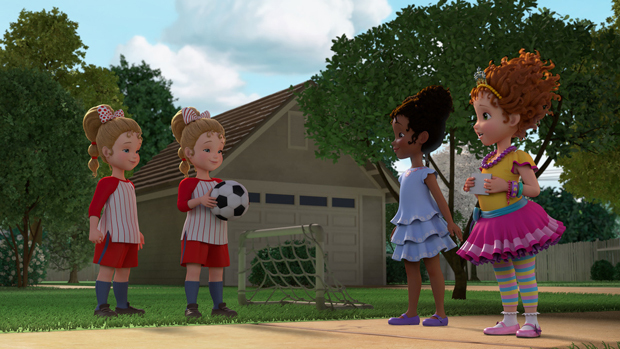 The roster features Alyson Hannigan and Rob Riggle as Nancy’s parents, Mia Sinclair Jenness as Nancy and Spencer Moss as sister JoJo. 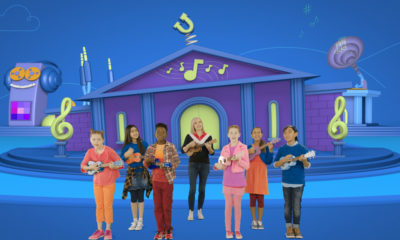 Additional guest voices include Christine Baranski as Mrs. Devine, George Wendt as Grandpa Clancy, Kal Penn as Mr. Singh, Dana Heath as Nancy’s best friend Bree, Tatyana Ali as Bree’s mom, Ian Chen as Nancy’s cousin Jonathan, Chi McBride as mailman Gus; Malachi Barton as Nancy’s friend Lionel and Madison Pettis as Brigitte. To understand the animation’s level of sophistication, keep in mind that the animators use 236 different groups for the character’s hair alone. The facial rigs are also extremely complicated because they have to fully deliver the characters’ lifelike expressions. “We really get a full breadth of emotional state, and I think we’ve really broken interesting boundaries in terms of CG animation for a TV series,” notes Mitchell. In addition, music plays a pivotal role on the show, with almost every episode featuring new original songs by Matthew Tishler and TJ Hill in musical styles ranging from pop and jazz to big band, classical and swing. 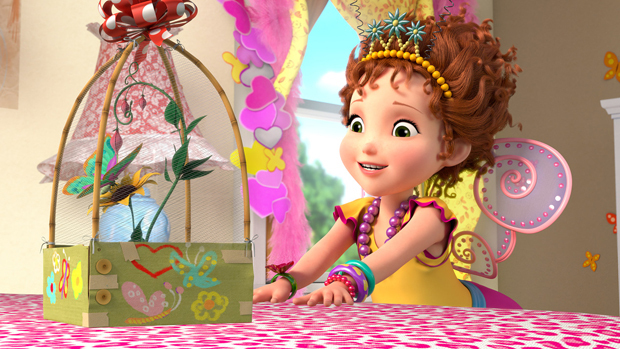 Fancy Nancy premieres on Disney Junior and the DisneyNOW app on July 13.